We believe in managing the footprint we leave on the environment. Contact us for a customized recycling program. Rent the right size dumpster for any waste or recycling need — construction dumpster, remodeling, clean up, or containers. For residential/commercial trash service, dumpsters and dumpster rental, or general questions, just call or use our online form. We are involved in our communities through volunteering, green initiatives, corporate giving, and charitable giving. We take our business personally -- and we mean it. 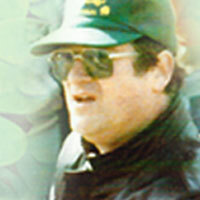 For urgent issues, you can contact Patrick Flood directly by clicking here. Wondering about something on your bill? 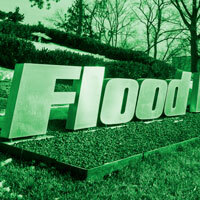 Our helpful Flood Brothers Billing & Payment FAQ can help. 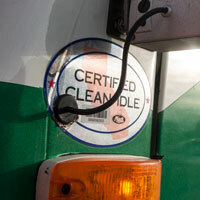 You know we are serious about service, after all, our name is on our trucks. For 5 generations, the Flood family has been committed to providing superior waste services for homes and businesses. 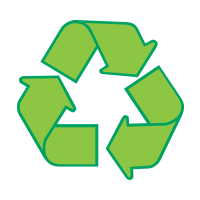 We work to provide the best in disposal and recycling services every day. We value the personal touch. Our staff is accessible 24 hours a day...you can even contact Patrick Flood directly with any questions. Flood Brothers has a strong and long-standing program of utilizing Minority Business Enterprises (MBE), Women Business Enterprises (WBE), (DBE) Disadvantaged Business Enterprises and Small Business Enterprises (SBE). Together with Flood Brothers' dedication and our valued relationships, we are proud to offer outstanding service to town and city departments. 1930 The Flood family vision started with one truck and one employee at 139 N. Clark Street in Chicago. 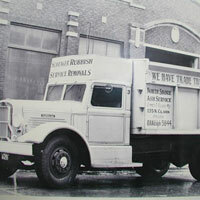 Starting with one truck emblazoned with “We have a trade that service made” and one employee, we operated at 139 N. Clark Street, Chicago from 1930 to 1963. Providing great service spurred growth that required us to move to larger facilities at 5435 W. Chicago Avenue. As expansion continued, we moved to 1025 W. Monroe Street in 1970, 3017 N. Kedzie Avenue in 1975, 2520 W. Huron Street in 1977, and finally 4827 W. Harrison Street in 1979 where we have our offices and garage today, in addition to a main office in Oakbrook Terrace. 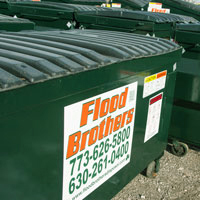 Furthering our commitment to our customers, Flood Brothers launched a container fabrication and repair facility in 1995. As technology evolved, so did our trucks to meet the new diesel emmision standards. 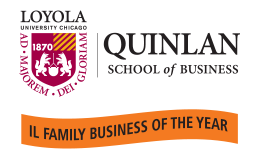 The 5th generation of the Flood family leads Flood Brothers and employs over 100 employees in Chicago and the Chicagoland area.